We had so much fun attending Dinner En Blanc San Diego. 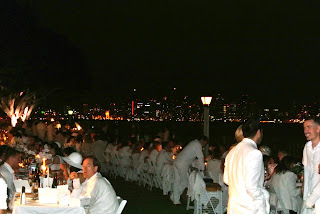 For those of you that don't know what Dinner En Blanc is, let me give you a little taste! 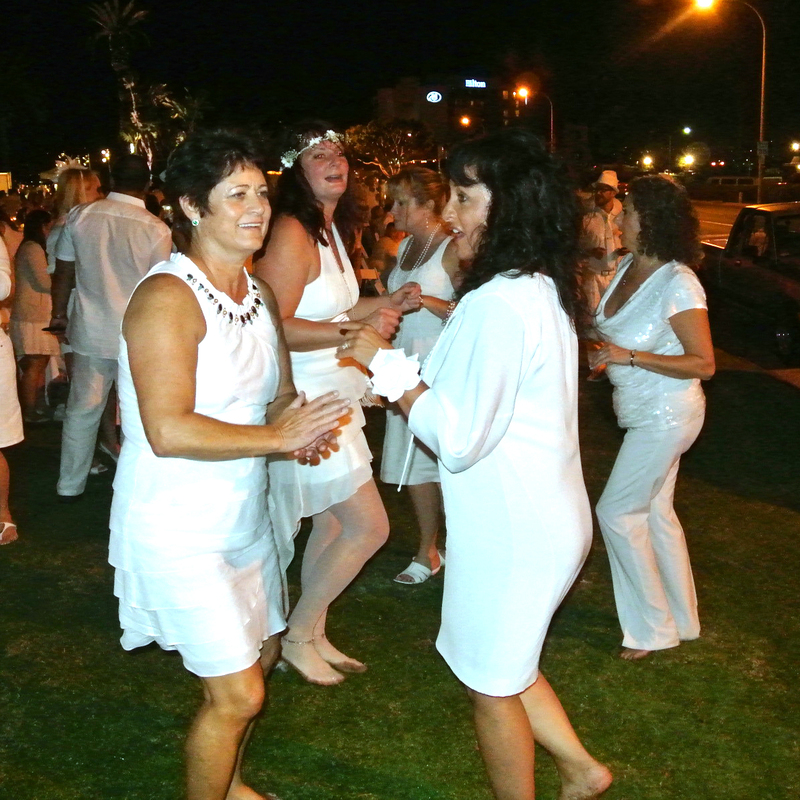 "At the last minute, the location of the secret supper club is given to thousands of friends and acquaintances who have been patiently waiting to learn the “Dîner en Blanc's” secret place. Thousand of people, dressed all in white, and conducting themselves with the greatest decorum, elegance, and etiquette, all meet for a mass “chic picnic” in a public space. 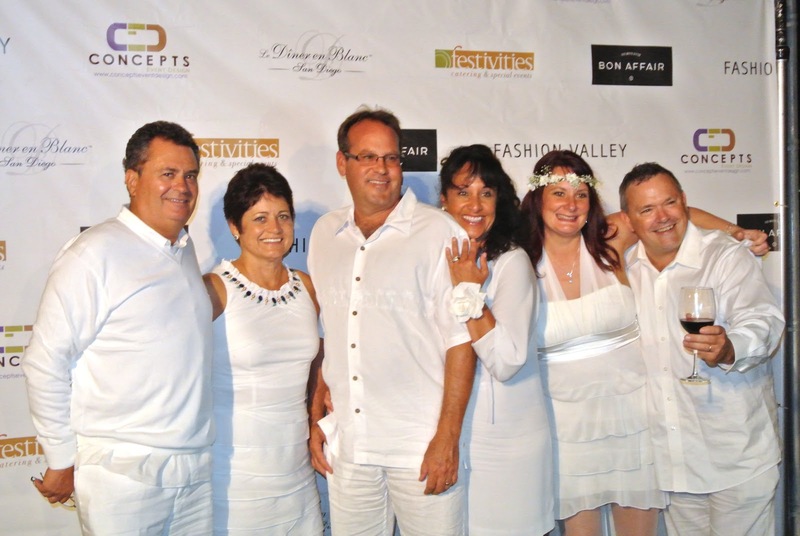 Launched with just a handful of friends by François Pasquier over 20 years ago, Paris' Dîner en Blanc now assembles nearly 15,000 people each year. The French capital's most prestigious sites have played host to it: the Pont des Arts, the Eiffel Tower site, the Louvre Pyramid, the Trocadéro Esplanade, Place Vendôme, the Château de Versailles, the Esplanade de Notre-Dame, the Esplanade des Invalides, the periphery of the Place de l'Étoile, the Champs-Élysées, Place de la Concorde and last year: The Carousel du Louvre. The Paris police tend to tolerate this ‘wild' gathering, if not perhaps even wishing they could join in!" 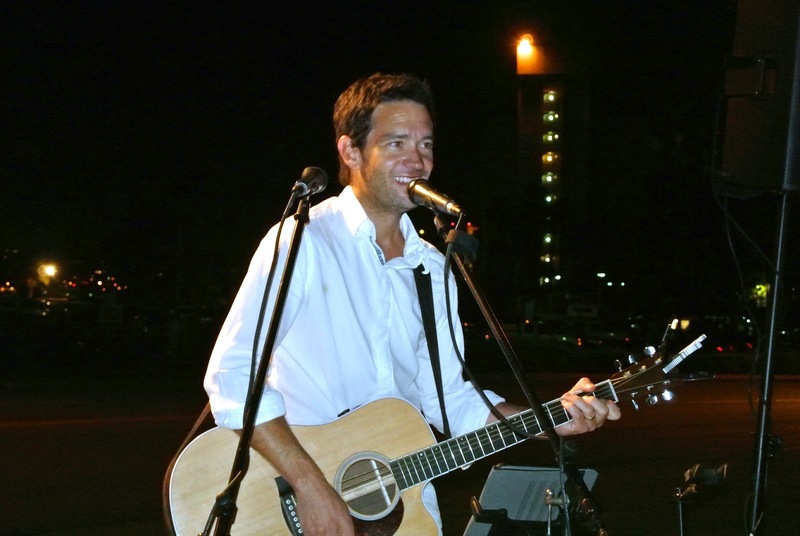 First you meet up at several different pick-up spots. You get on a big bus and they bus you to the secret location. You are not told the location until the bus starts moving. Don't be late, or the bus will leave without you! One thing I noticed was they disabled any comments on their facebook page. I guess to keep it secret! 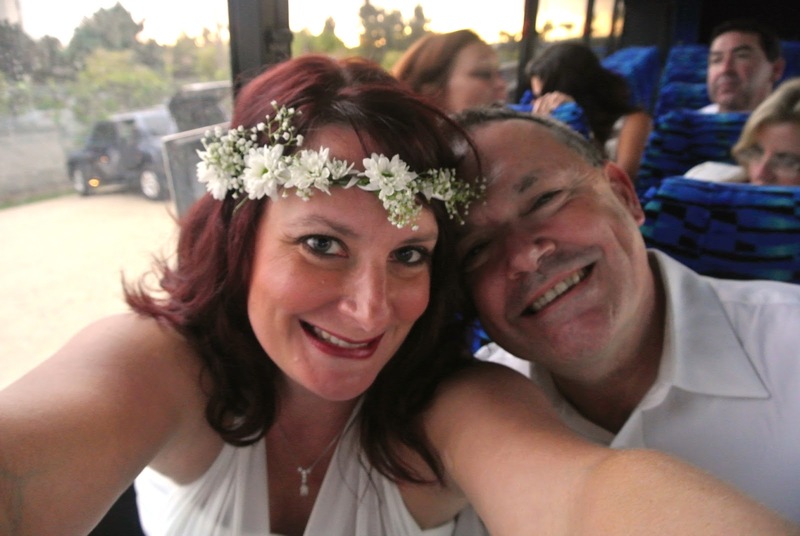 Here is my hubby and I on the bus excited to be headed there! 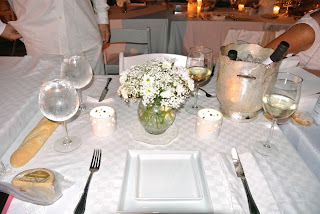 You bring your own tables, chars, linens, dishes, food, silverware, wine, water, candles etc.. Or you can purchase a picnic basket that is ready for you. I highly recommend bringing your own food. You can also rent tables and chairs if you don't want to haul them. After you set up, the wine is opened and you begin dining. 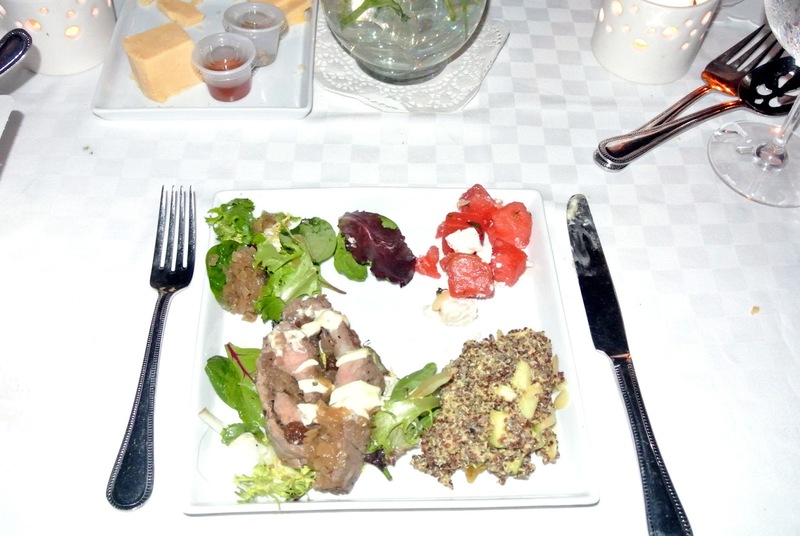 Here was Randy's plate. Sorry it is washed out. I didn't get a good picture. We had fabulous live music while we ate. Jason Mraz style. 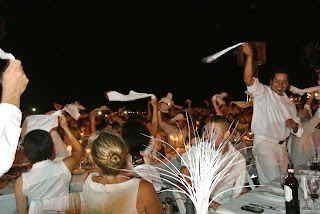 At the end of dinner, everyone waves their white napkins to celebrate that the party is going to get started! Then the DJ begins and you dance the night away with thousands of others! We had fun meeting new friends! 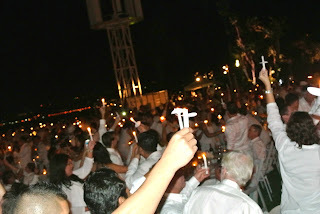 Towards the end of the evening everyone lights a candle that is provided by the event staff. My picture doesn't do it justice, but it was like thousands of stars. So pretty! 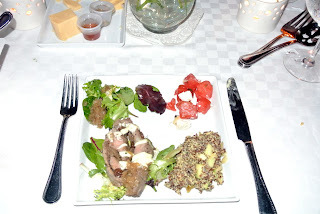 We had fun being treated like celebrities! The bus ride home, everyone was happy. I didn't hear a single complaint. All I heard was "That was such a blast!" 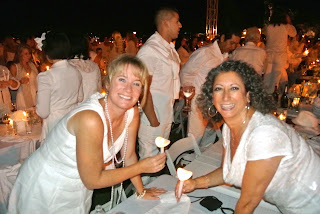 If you ever hear of Dinner En Blanc coming to your area, get on that wait list!!! I knew it would be amazing.. but this really was spectacular!! 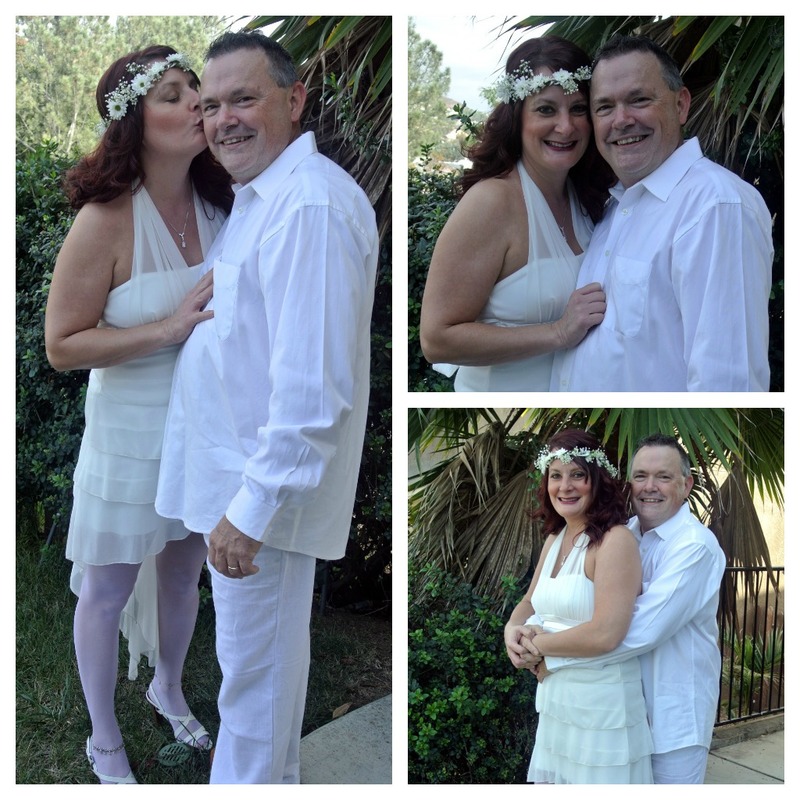 I am so happy for you and your husband to get this experience.